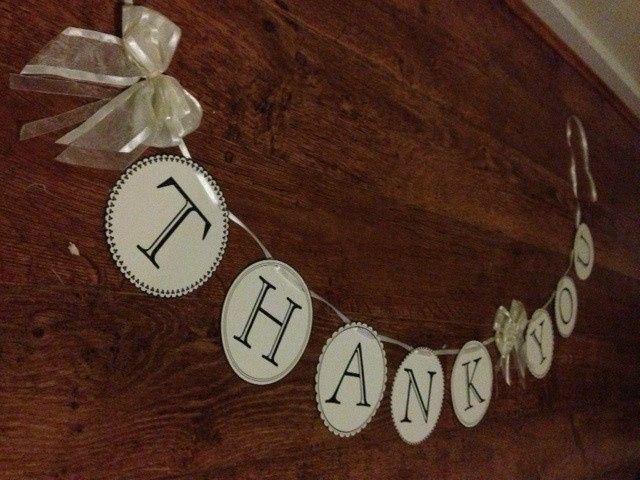 DIY 'Thank You' banner - or any banner you want! I just thought I'd share the downloadable templates for making your own wedding signs that I found at www.marthastewartweddings.com (search: downloadable wedding template). There is a range of lettering with either square or circular borders with different patterns. They are PDFs but if you copy the letter you want out of the PDF and paste it into Word then you can play with the size. I feel so crafty! Thanks for sharing!!!! I made a DIY banner from a free printable that turned out amazing!